An 11th grade student. Stupid, lecherous and a pervert. A normal high school student born in a normal family, but is in the possession of the Sacred Gear "Boosted Gear" which is listed as one of the ultimate Sacred Gears. 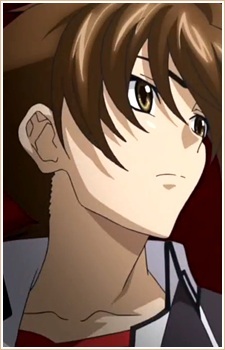 He was killed by his then girlfriend who was a fallen-angel; later on was revived as a devil, becoming the servant of Rias Gremory. His new master. Now he aims to become a Harem-king by gaining a peerage, unaware of himself attracting the very girls around him.